2019 - 02 - Going....Going....Gone! A personal milestone anniversary --my husband and I are celebrating our 10th wedding anniversary this Valentine's Day. Image (left) is of an Island Batik Ambassador project that I did a couple of years ago. I called it 'Love is in the Air'. 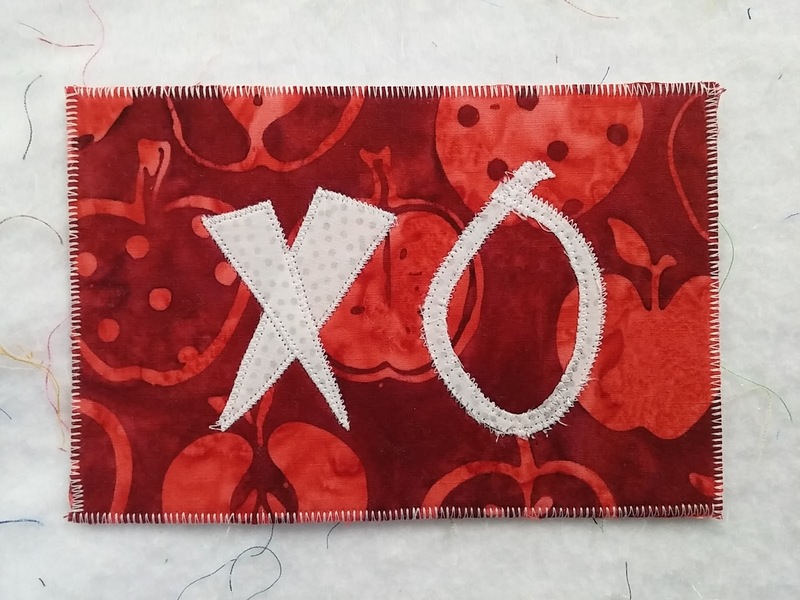 The heart is paper pieced and a free download. Read more here. 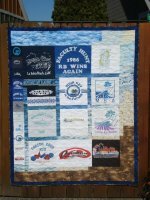 - Show & Share - Monday February 11 --come at 9am to see Jelly Roll Rugs and show off your own projects. 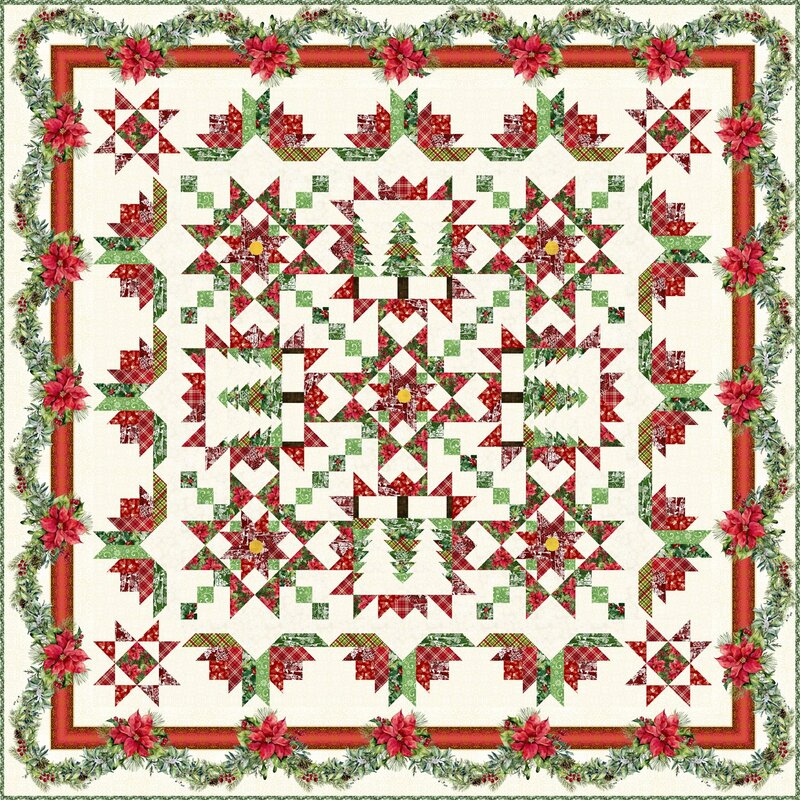 A free pattern link will be provided for a Charm Square and Jelly Roll quilt that is super quick. 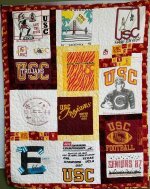 - Class ---Jelly Roll Rug or Placemat -- A second class is being added for the evening. Let me know if you are interested. It will have pre-work, a short first session with homework; and a longer 2nd session to finish. - T-shirt quilt class - This is a design and technique discussion class. I've had several express interest recently so am putting together a date/time. Let me know if you're interested in participating. - Warehouse visit occurs in March --time to get your orders in or request items you'd like me to stock on a more regular basis. Several have requested a t-shirt class so we're adding that to the schedule. Let me know if you'd like to be included in the next one and your preferred date/time. Class fee includes detailed design instruction and option to have your t-shirts stabilized by me (courtesy of our local SunflowerGraphics' Heat Press). 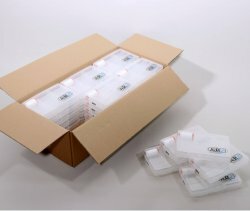 So-Sheer supplies for stabilizing are available in the shop. You're getting a sneak peek if you take advantage of product available online now! 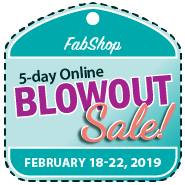 I'm participating in FabShop's Blowout Sale. As a first time participant, this means my inventory will be exposed to many more people and I'm hoping to make room for new arrivals. So, here is your chance, get these rare finds while you can before they are gone. I can ship product Feb. 12 and 13 ....and will resume again on the 19th and beyond. Thank you for your consideration and support. The latest issue of the Country Register in our region includes an article about Temperature Quilts --here is one that I found from @aquiltingsheep and used with permission to illustrate the concept in the article. Stop by and pick up your own copy! Maybe you'll be inspired to create your own. Don't forget with the Toscana fabric line of colors you can get plenty of values for just the gradation/legend you design. Some Club groups are still available in 1/2 yard cuts.